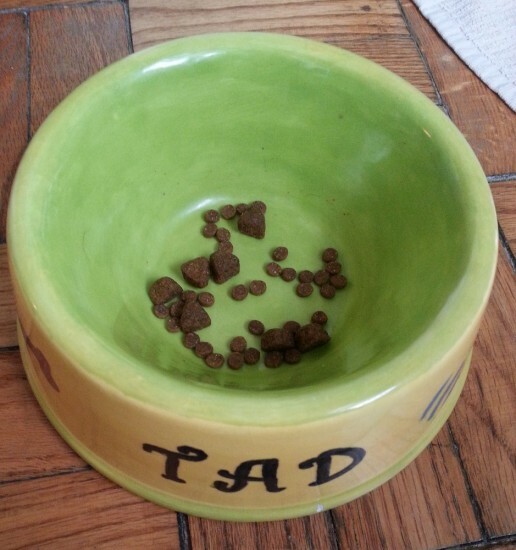 Disclaimer: this is kind of a boring post about dog food. 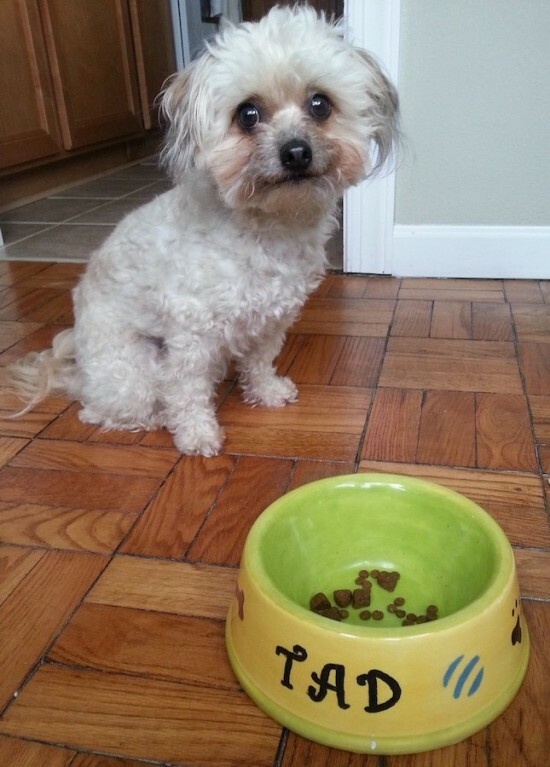 I really do think the type of food you feed your dog can make a big difference in their quality of life, but I’m not usually one to preach about it. 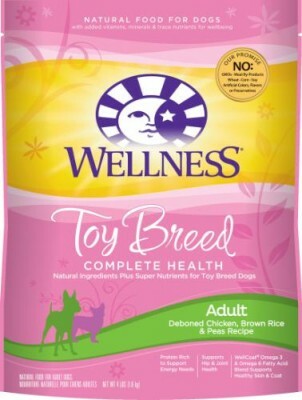 However, I was already a believer in the Wellness brand when they contacted me regarding their new line of food for toy breeds… and they offered me a free sample to review. You would have said yes, too. I wasn’t just a believer in Wellness, though, I was also a consumer – er, Tad, Little Pants, and Olive are the consumers. I’m just the one who buys it. 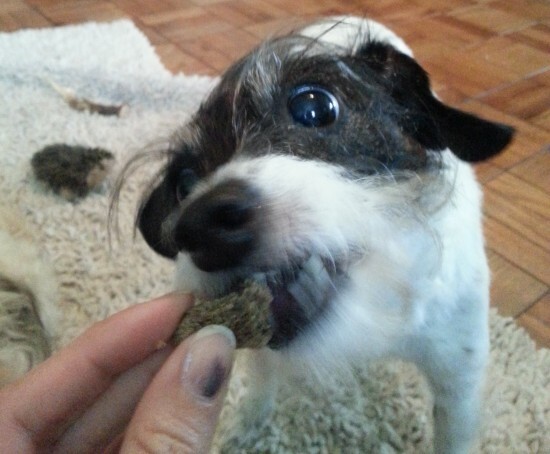 Anyway, the reason I’ve been feeding them Wellness is because all of their dry foods are GMO-free. They also exclude meat-by-products, wheat, corn, soy, and artificial colors, flavors, and preservatives. And the Wellness CORE line is grain-free too. Wellness is good stuff! But let’s face it, the Wellness CORE kernels that I’d been feeding my under-10-pounds-each dogs must feel like giant croutons to them. 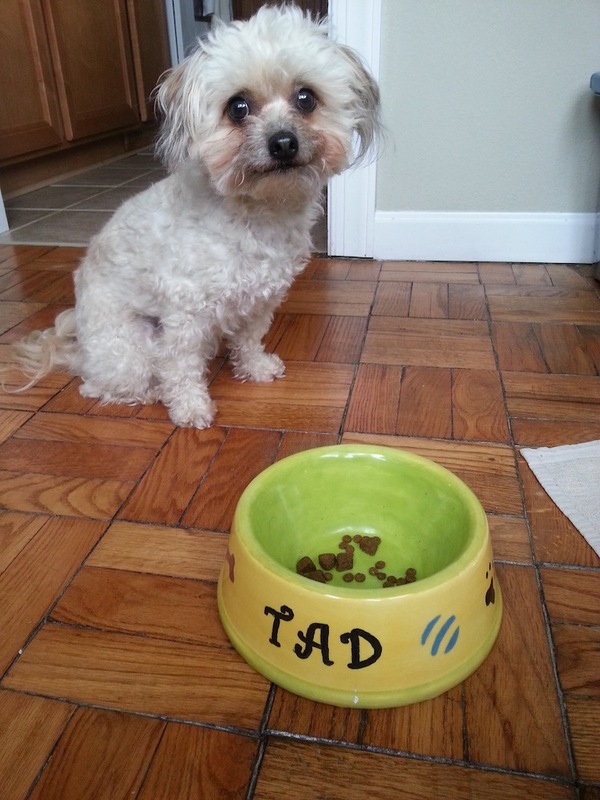 Little Pants (LP), in typical Yorkie fashion, has a janky dog mouth with many missing teeth. Poor dude barely chews his kernels. Let’s see how the new Toy Breed line compares to CORE. Wow, those are a lot smaller! The new Toy Breed line comes in three different varieties: 1) Adult Health Deboned Chicken, Brown Rice & Peas Recipe, 2) Healthy Weight Deboned Chicken & Barley Recipe, and 3) Senior Health Deboned Chicken & Oatmeal Recipe. This line is not grain-free, but again, it does not contain wheat. Can I please try Wellness Toy Breed now? I gave the dogs a bit of both foods and they, of course, scarfed every last kernel down. They don’t turn their noses up at much. Tad will even eat lettuce. Wellness also sent us a package of their new Wellness CORE Superfoods Protein Bars in Beef, Bison, and Blueberries. These are grain-free treats that clock in at only 16 calories each! I wish my treats were only 16 calories each. They are mostly soft treats, and best of all, like the rest of the Wellness line, they come in a resealable bag so they don’t dry out as quickly. Get ready for your closeup, Miss Olive! Noms, these are good treats!